Writer Dennis Cozzalio, he of the wonderfully titled Sergio Leone and the Infield Fly Rule site, is well-regarded for his in-depth knowledge and thoughtful essays he gladly shares with his readers. The extraordinary SoCal blogger and drive-in aficionado remains one of my long-time reads for the moving picture. His semi-regular movie quizzes are online events that many look forward to. Me included, even if I’m about a month late this time. Since we’re celebrating the series 50th anniversary, has to be the awkwardly tension-filled Federation-Klingon dinner held aboard the Enterprise in Star Trek VI: The Undiscovered Country. Because it was one of the very first Alfred Hitchcock movies I saw as child, it’s Dial M for Murder. While both came out the year of my birth, Rear Window may be the technically more critical cinematic darling, but I just love the premise and execution (pun) of the detective tale, based on a successful stage play — plus, it’s sooooooo wonderfully British in its telling, and again has a dazzling Grace Kelly in it. Hendrix’s segue from “The Star-Spangled Banner” into “Purple Haze” has to be it. 5) Alex Cox’s Straight to Hell (1986)? 6) Benjamin Christensen’s Haxan: Witchcraft Throughout the Ages (1922)? 7) Federico Fellini’s I vitteloni (1953)? I’ll Take Paul Lynde to Block. 8) Vincente Minnelli’s The Long, Long Trailer (1953)? 9) Sam Peckinpah’s The Ballad of Cable Hogue (1970)? You betcha, for Stella Stevens alone! 10) George Englund’s Zachariah (1971)? Yep, and maybe for its movie poster. 15) In the tradition of the Batley Townswomen’s Guild’s staging of the Battle of Pearl Harbor and Camp on Blood Island, who would be the featured players (individual or tag-team) in your Classic Film Star Free-for-all Fight? John Carpenter (holding The Shape’s kitchen knife) versus Universal Studio execs. My money would be on JC. 18) Robert Altman’s Quintet– yes or no? Currently, got to be Werner Herzog. That last inane scene in The Mist (2007)…I’d tell Thomas Jane to relax and take that stupid look off of his face because this will soon be on the cutting room floor! Sheesh! Did you not see my answer to question 22?!? 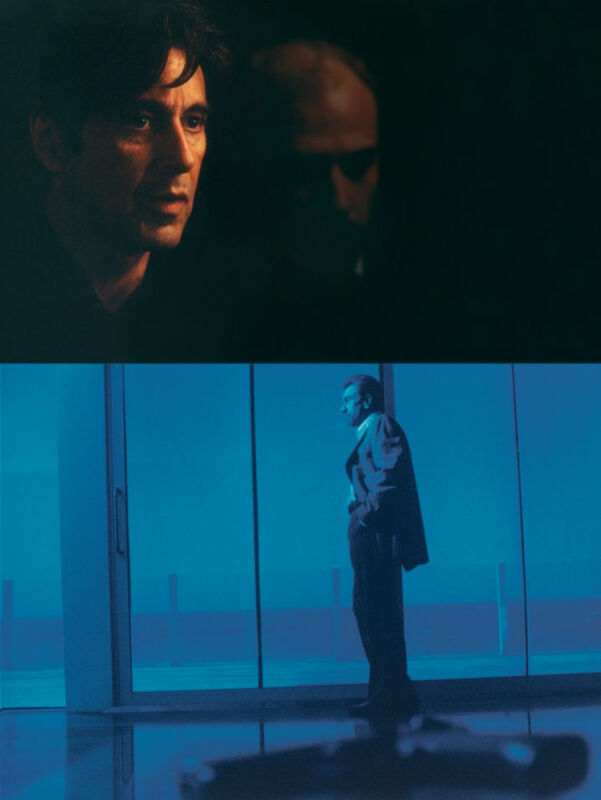 Easy, Michael Mann remaking his TV-movie, L.A. Takedown (1989) as this all-time classic…which I took in once again just the other night. Detailed that answer a few years ago here. You know, no one is later than me! I haven’t done my own quiz yet! But like you, I’m leaning toward DIAL M FOR MURDER, maybe just because I haven’t seen it as much, and I saw a 4K digital 3D presentation a couple years ago that was brilliant. Also being of a certain age, I’m so glad someone finally mentioned THE SEVEN FACES OF DR. LAO, one of my great childhood favorites– I’ve had the WA DVD for a while, but I haven’t yet watched it! I have to admit though, that I saw HEAT the weekend it opened, and though I enjoyed it, the movie never stuck with me as anything special. (I’m not an across-the-board Mann-ite either.) Guess I’d better see it again, huh?! Thanks for your answers, my friend! Oh, I bet the 4K 3-D experience must have been somethin’. I think I saw ‘Dial M for Murder’ once in 3-D at a revival screening long ago somewhere — with those red & blue paper glasses, too. Yours for sure were in better resolution. And I have the Warner Archive MOD DVD of ‘7 Faces of Dr. Lao’ in my video library for being the same — a cherished childhood memory from the ’60s. Such a fun flick. You saved the best till last. Answer #34 made my night! Excellent quiz, Dennis and Michael. So (too) many answers align with my thinking. #23: Have to go with ‘The Doors’ for its lead actor and solid supporting cast…. Not a big fan of Stone’s political films. And no one need to see Tommy Lee Jones in Victorian drag! Great catch with # 28: ‘LA Take down’ and its later evolution, ‘Heat’.